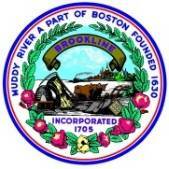 Aaron Rose filed this request with the Brookline Town Clerk of Brookline, MA. Payments from Pine Manor College to any public entity in the Town of Brookline. The search only needs to look at payments in the last 15 years. I wanted to follow up on the following Freedom of Information request, copied below, and originally submitted on Sept. 29, 2017. Please let me know when I can expect to receive a response, or if further clarification is needed. I wanted to follow up on the following Public Records Law request, copied below, and originally submitted on Sept. 29, 2017. Please let me know when I can expect to receive a response, or if further clarification is needed. Thank you for your November 16, 2017 public records request pursuant to M.G.L., c. 66. I have notified the affected custodians of the records as to your request. The statutory date of production for any responsive documents to this request, unless otherwise notified, is Thursday, November 30, 2017. I'm following up on the following Public Records Law request, copied below, and originally submitted on Sept. 29, 2017. You had previously indicated that it would be completed on Nov. 30, 2017. I wanted to check on the status of my request, and to see if there was a new estimated completion date. Attached, please find the responsive records to your request.